Join Saint James Episcopal Church and Oasis Ministries in remembering Thomas Merton on the 50th anniversary of his death. This quiet day of remembrance will include times of reflection and prayer on his writings and the themes and writings of Merton’s life. The day will conclude with an ecumenical mass in memory of Father Louis as Merton was known in the monastery. Guiding us in this day of remembrance will be Kimberlee Peifer, Director for Contemplative Prayer and Practices at Saint James Episcopal Church and Glenn Mitchell, Director of Oasis Ministries, Camp Hill, PA.
Download the Saint James campus map here. 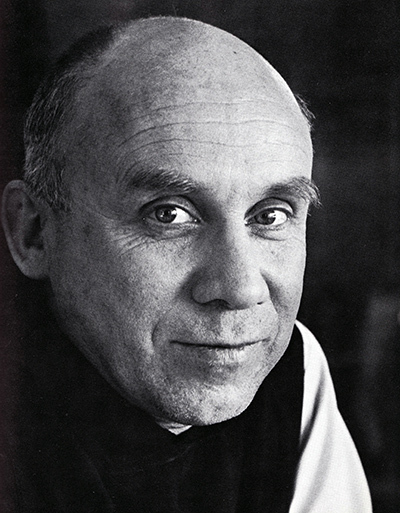 In the fall of 1968, after a tumultuous year that saw the assassinations of Martin Luther King Jr. and Senator Robert F. Kennedy, Thomas Merton left the Monastery of Gethsemani on an extensive trip to Asia. On the 10th of December, after addressing a conference on monasticism, Merton was accidentally electrocuted in his room by faulty wiring in a fan. He was 53. Thomas Merton was one of the most significant religious voices of the 20th century and his prolific writing spoke to the contemporary issues of his day—and our day: war, racism, the environment, interfaith dialogue, and spiritual deepening. Kimberlee leads weekly meditation groups in the World Community for Christian Meditation tradition, teaches classes and workshops on spiritual practices, creates contemplative retreats and masses and facilitates contemplative activities and events with other organizations throughout Lancaster County as part of a partnership with the Parish Resource Center. Kimberlee hopes to help others uncover the multiple ways we can enter into the gift of contemplation while learning to be more rooted in the present, more conscious and more compassionate. She is certified in spiritual direction, formational prayer and yoga instruction (RYT200). She also has her BS in kinesiology and master’s degree in health education from Penn State University. In addition to reading, gardening and learning about herbalism, she enjoys continuing to create and discover the rhythm of life that works best for her. The Rev. Glenn Mitchell is Director of Oasis Ministries and a lead teacher and retreat leader with Oasis since 1996. Glenn has a practice of spiritual direction based in State College, Pennsylvania. Glenn has been offering an annual retreat day on Thomas Merton for 15 years. Glenn loves all things contemplative and in his spare time enjoys watching birds, hand binding journals, and making things from wood.